Look, a lot of people have crazy life stories to tell. They bought a used car formerly owned by Bob Saget or they were on a camping trip, peeing behind a tree when a bear walked by. Quality stories all. 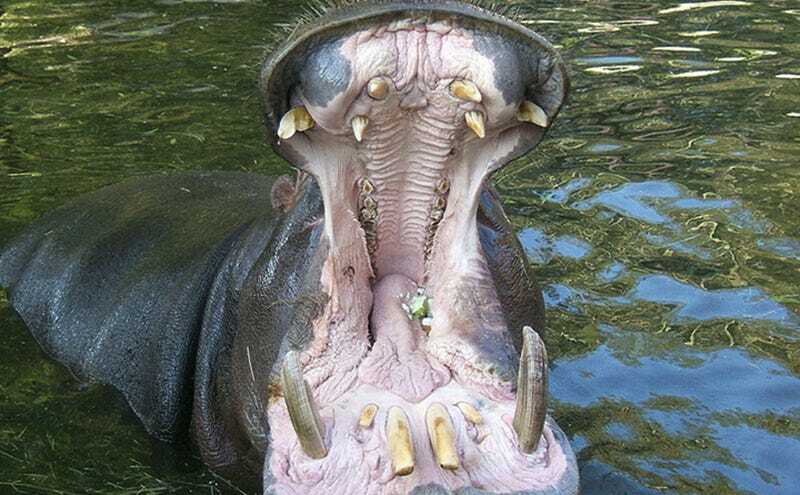 But this South African tour guide was, and I can't emphasize this enough, actually in the mouth of a hippopotamus. So, yeah. Paul Templer ran a tourism business where he took visitors on trips down the Zambezi river near Victoria Falls. One day he was out training a few guides with a group of tourists when they got attacked by a bull hippo. Templer knew from past trips that this particular hippo could be extra territorial, but usually he just avoided the areas where the hippo liked to hang out. In this case, though, the bull charged a kayak carrying two tourists and a guide-in-training. The tourists plus the rest of the people on the trip got to safety, but the one guide was trapped. When Templer paddled over to try and help his colleague, the hippo basically swallowed him.